The biggest the title, the more mouthwatering the recipe seems right? Well in this case it sure is. This recipe was stuck in my mind, from the moment that I realized that I can't stand wilted vegetables in soups, except for the recipes that require sort of such (like this cuttlefish with spinach recipe). Anyway, I tried them in a delicious soup (coming soon) and then I thought, why not trying them as a meze (a.k.a. side dish or a snack dish)? And they were outstanding this way too. 1. On the cabbage leafs place the spinach and the pleurotus spices. 1) Cook the cabbage and spinach leafs in boiling water for 30''. Remove them and with a dry paper remove the excess moisture. Remove the stiff part of the cabbage's if necessary. 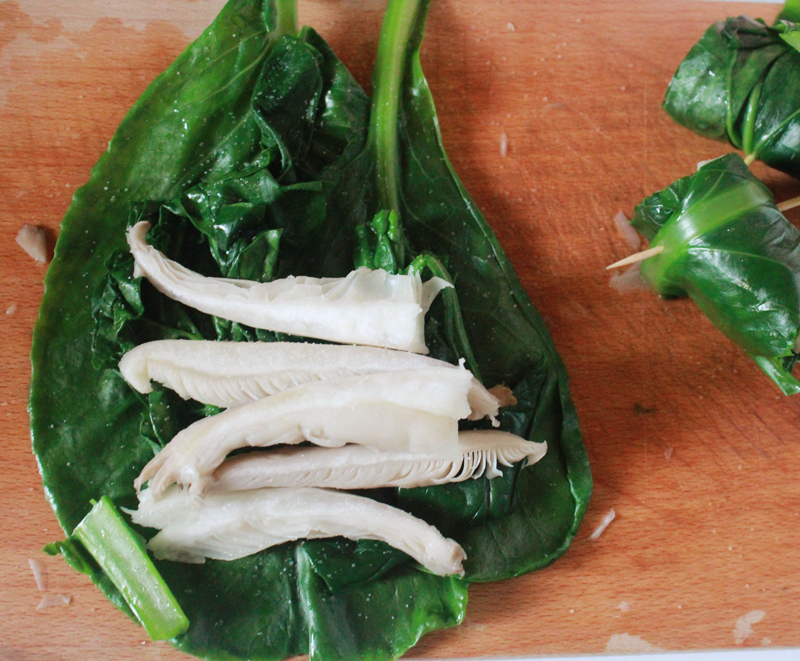 2) Place the spinach and the pleurotus mushroom fine strips on the cabbage leaf and roll tightly (pic 1). 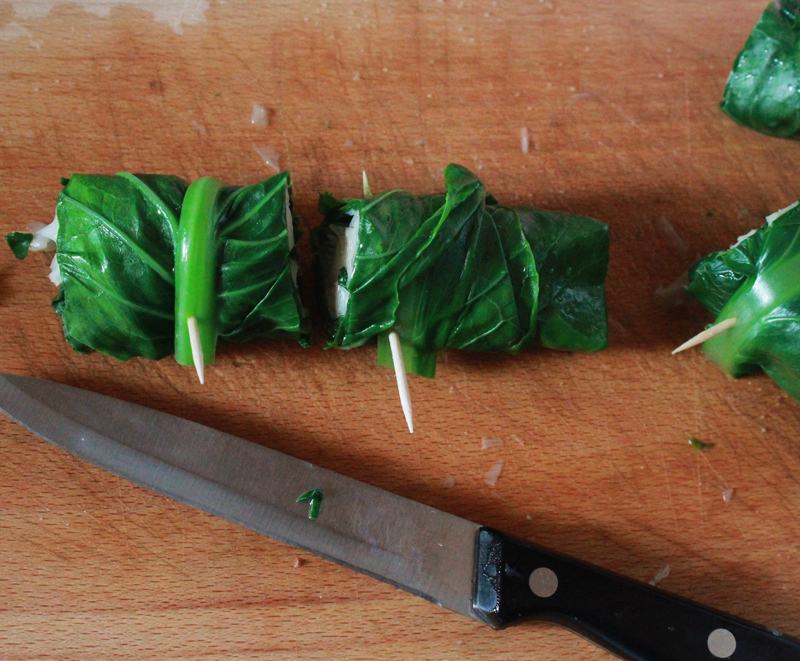 Stick skewers into the cabbage roll, every 1 1/2 inches (pic 2). Make cuts between the bamboo skewers. 3) In a skillet, on medium heat, add a little olive, the garlic cloves and the rolls. Season with salt and pepper. When the cloves turn golden brown and the rolls become softer than before, they're ready. Stick a piece of feta on the top and season with pesto & sweet paprica. Delicious!